The collision was forecast to happen in some 3.9 billion years. But after astronomers analyzed new data captured by the European Space Agency's star-surveying satellite Gaia, they now put the imminent date at 4.5 billion years - so 600 million years later than initially expected. 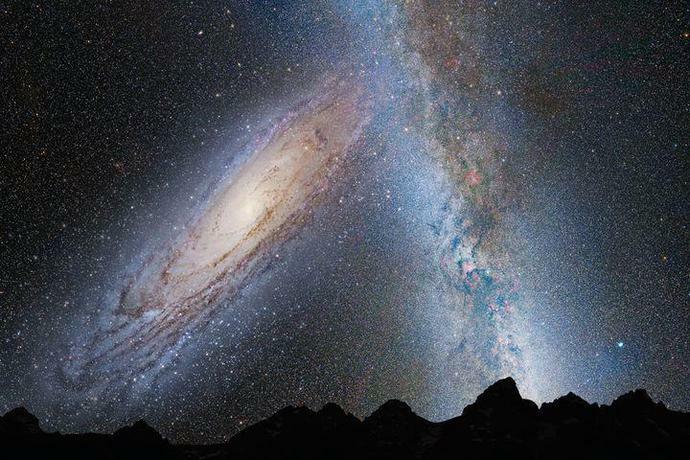 To arrive at their conclusions about the future galactic meeting, scientists observed how stars moved within two "nearby" galaxies that are moving around each other - the Andromeda and Triangulum galaxies - to forecast how Andromeda will ultimately travel through intergalactic space. "We combed through the Gaia data to identify thousands of individual stars in both galaxies, and studied how these stars moved within their galactic homes," said study coauthor Mark Fardal in a statement. "While Gaia primarily aims to study the Milky Way, it's powerful enough to spot especially massive and bright stars within nearby star-forming regions - even in galaxies beyond our own."